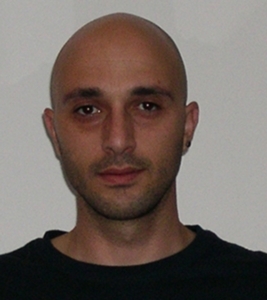 Stavros Stylianou is a PhD Candidate at the Department of Environmental Science and Technology of the Cyprus University of Technology (CUT). He holds a Bachelor degree in Computer Engineering from the Technical Educational Institute of Athens and a Master’s degree in Geographic Information Systems from Southampton University, with specialization in Environmental GIS and automation. In the summer of 2009, he joined the Oceanography Center at the University of Cyprus as a special scientist, while in 2015 he became a member of the Sustainable Energy Laboratory. His scientific interests lie in GIS for environmental problem solving applications, weather prediction models, renewable energy prediction and applications. He participated in numerous EU and national funding projects such as SeaDataNet-2, EMODnet Chemistry, MyOcean, MEDESS4MS, E-WAVE and SeaMobile, with scientific publications for ocean and oil spill prediction models, technologies for geospatial data management and visualization, and environmental decision support systems for both land and sea. He has also worked as the senior developer in EKTIMISIS project funded by Cyprus Research Promotion Foundation and MOSEP project funded by the General Secretariat for Research and Technology of Greece and hosted by the Hellenic Naval Academy.